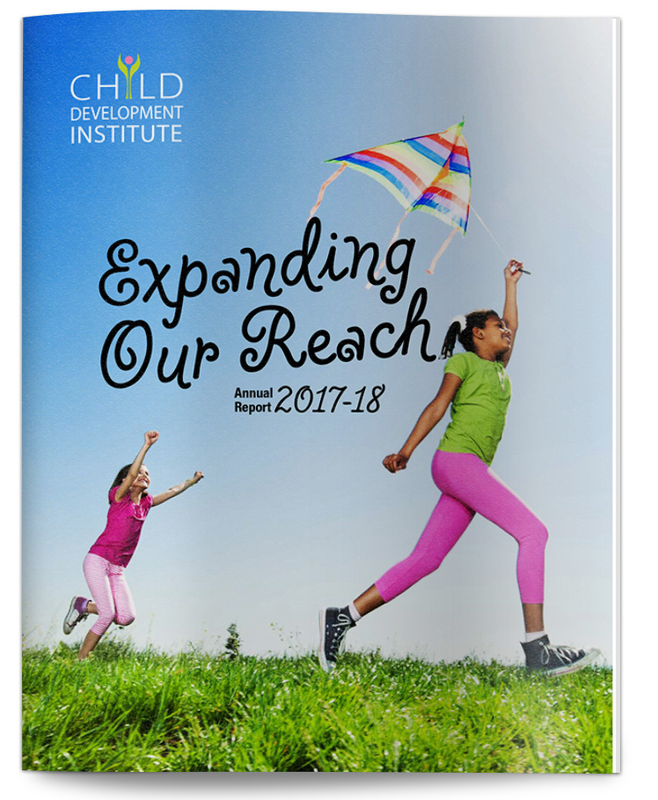 Swerve designed the 2017-18 annual report for Child Development Institute (CDI). 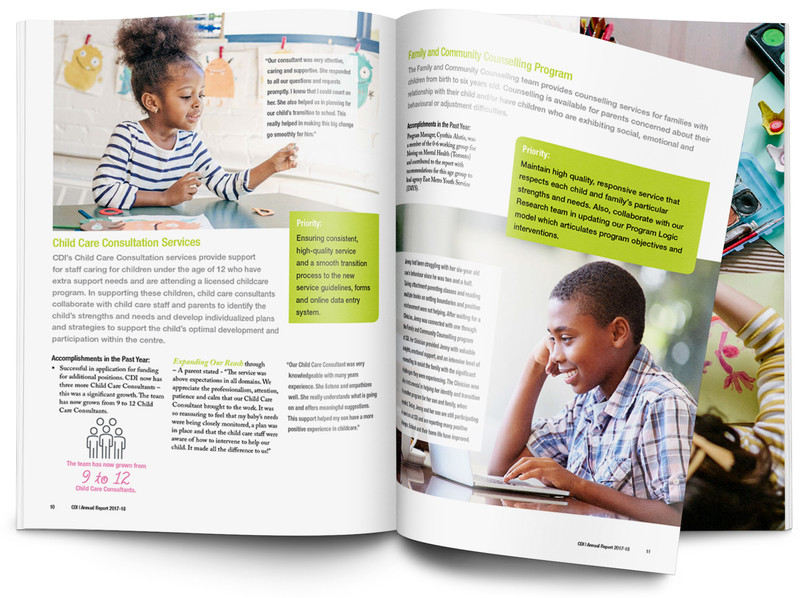 CDI, an accredited children’s mental health agency in Toronto, is a groundbreaker in developing innovative programming. They transform the lives of children, youth and their families by developing and delivering world-class, innovative, evidence-informed mental health programs.